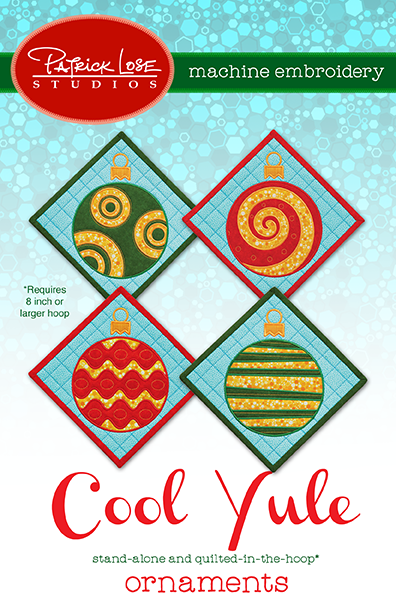 As seen in the winter 2015 issue of Quilting Celebrations! magazine. Requires 8 inch or larger hoop! You must have a copy of the winter 2015 issue of Quilting Celebrations! if you want the pattern and instructions for making the wall quilt project. The mini mats are stitched completely in the hoop. Trim and bind the finished mats to complete. Includes color cover and stitching masters for each design. Four stand alone or quilt block designs. When checkout is complete, you'll receive a download link by email. Follow the instructions to download a .zip file containing the following file formats: .pes, jef, .hus, .vip, .vp3, .art, .dst, .exp. All designs ©Patrick Lose. All rights reserved.